Listen To Plan B's New Single ¿Te Acuerdas De Mí? Plan B's new single and video is the sexiest thing you'll probably watch and listen today. Enjoy the music and get to know when the duo will launch their new record production. Luz Pinos arrives Stateside with her Mariposa Azul Tour with stops in Miami and New York City. 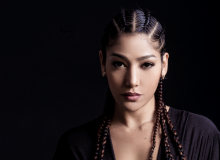 Find dates here plus her special performance for Latin Times. Daddy Yankee is definitely the Big Boss! The Reggaeton artist crowned himself as the undisputed king of the urban genre and secured the #1 spot on Spotify worldwide. Get Ready For Premios Juventud With Spotify's Fun Playlist! 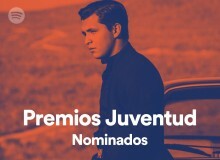 Get your groove with the new Spotify "Premios Juventud Nominados" playlist. The music streaming platform invites you to get ready for tonight’s big award show. Mexican Regional music stars Voz de Mando performed Tupac Shakur's “California Love” with Dj Lechero. Watch the cover here! 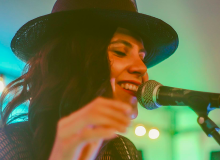 Singer-songwriter Naty Botero released her new single and video after four years of absence. Botero will be visiting Latin Times offices soon, find here when! 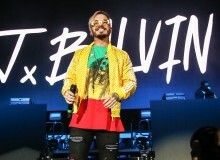 Colombian reggaeton superstar, J Balvin just released his new single and music video for "Mi Gente" featuring Willy William. Listen and watch here! The King of Bachata, Romeo Santos, sings to the nostalgia in his new single "Imitadora." Besides this new release, singer revealed he will have his own wax figure at Madame Tussauds in New York. 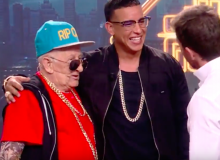 Daddy Melquiades, the 92-year-old viral sensation, met with Daddy Yankee in Spain and ended up sharing the stage together. Watch the beautiful moment here. 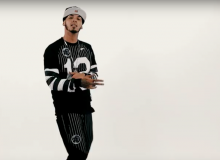 Emmanuel Gazmey Santiago, better known as Anuel AA, has been in the federal prison of Guaynabo since April 3, 2016 for illegal possession of weapons. The 18-time Latin Grammy and three-time Grammy winner Alejandro Sanz, will be honored at 2017 Latin Grammys for his successful career. With the official start of summer just around the corner, Spotify is rounding up the 10 songs that will likely top the charts, and your playlists, this summer. Spanish Broadcasting System gives you an exclusive chance to see Romeo Santos live in exclusive intimate settings and by invitation only. Learn here how and when you can enjoy.